$4 plus shipping per informational tear pad (50 sheets per pad). 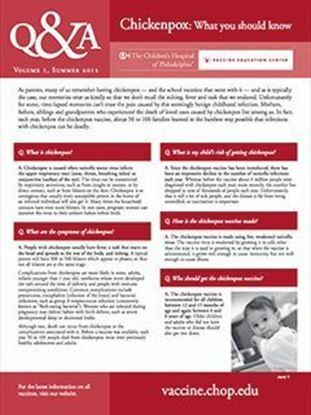 "Aluminum: What You Should Know" tear pads answer commonly asked questions about aluminum in vaccines. Each tear pad contains 50 sheets. $4 plus shipping per informational tear pad. 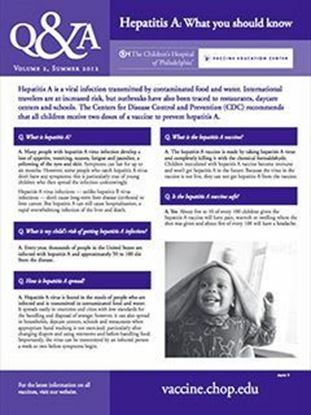 "Hepatitis B: What You Should Know" Tear pad. 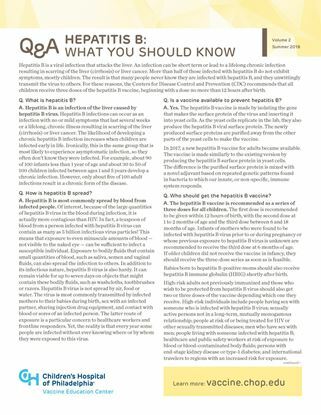 Answers to commonly asked questions about hepatitis B and the vaccine. Each tear pad contains 50 sheets. $4 plus shipping per informational tear pad. "Influenza: What You Should Know" tear pad. 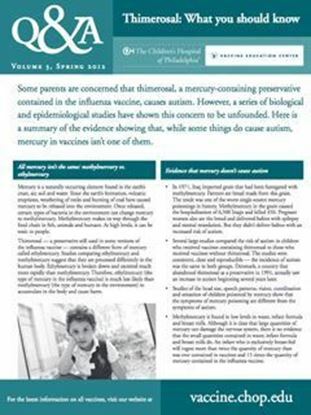 Answers to commonly asked questions about influenza and the vaccine. Each tear pad contains 50 sheets. $4 plus shipping per informational tear pad. "Meningococcus: What You Should Know" Tear pad. 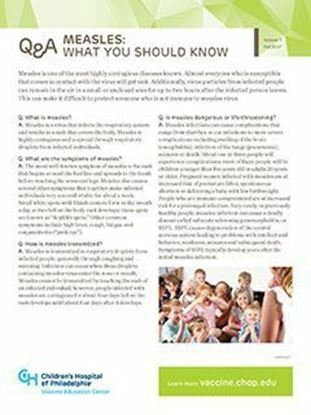 Answers to commonly asked questions about meningococcus and the vaccine. Each tear pad contains 50 sheets. $4 plus shipping per informational tear pad. "Mumps: What You Should Know" Tear pad. 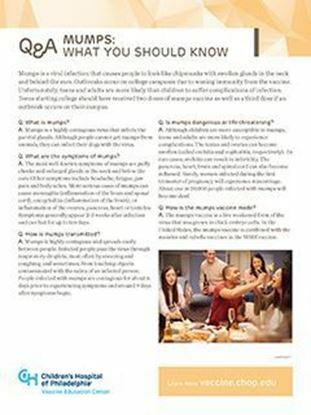 Answers to commonly asked questions about mumps and the vaccine. Each tear pad contains 50 sheets. $4 plus shipping per informational tear pad. 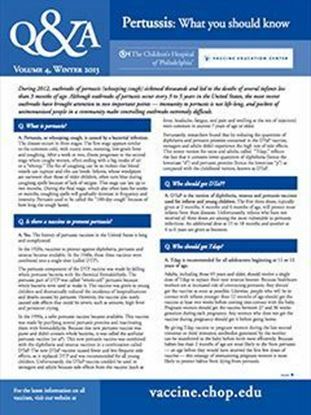 "Recommended Immunization Schedule: What You Should Know" tear pad answers commonly asked questions about the recommended immunization schedule. Each tear pad contains 50 sheets. "Shingles: What You Should Know" Tear pad. Answers to commonly asked questions about shingles and the vaccine. Each tear pad contains 50 sheets. $4 plus shipping per informational tear pad. 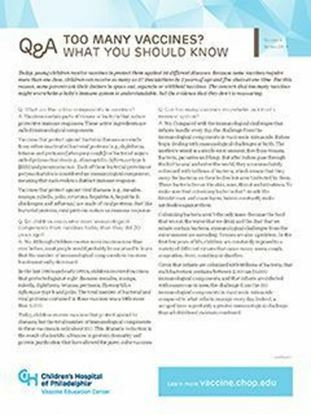 "Vaccine Ingredients: What You Should Know" tear pad answers commonly asked questions related to vaccine ingredients. Each pad contains 50 sheets. $4 plus shipping per informational tear pad. 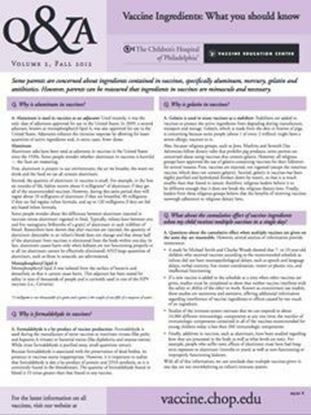 "Vaccines and Autism: What You Should Know" tear pad answers commonly asked questions about autism and vaccines. Each tear pad contains 50 sheets. $4 plus shipping per informational tear pad.